Wherever you choose to Italy, you’ll be surrounded by so many good things that you’ll find it hard to believe you lived without them for so long. But where in Italy do you picture yourself buying property and living? There is probably more beauty per square mile here than almost any other corner of Europe. It’s going to be no simple matter to hit on the ideal Italian location, even if you know for sure that you prefer big city life to the tranquility of the countryside. How do you choose between the watery beauty of Venice, the exuberance of Rome, or the glories of Florence? And if you have small-town life in mind, the regional decision is likely to prove just as excruciating. For its geographical size, no other country possesses so many towns that are so overwhelmingly blessed with art and history. In fact, Italy has so many wonderful little towns, it seems almost impossible to pick one over another. Should you find Italian real estate and settle on somewhere around the northern lakes, or in one of the Renaissance hilltowns of Tuscany, Umbria, or Le Marché? Or maybe the Amalfi coast beyond Naples, strung with sheltered coves and delectable pastel-colored perched villages? Although Italy is not generally perceived as being a bargain location for property buyers, there’s something for everybody. Dreaming of a 3,000-square-foot restored farmhouse with space enough for all your family and friends…or an unconverted farmhouse or villa that you can do up and then run as a B&B? Or perhaps you picture yourself in a cozy village house just big enough for two…or a home overlooking the piazza (square) in a small historic hilltown? A villa beside the looking-glass northern lakes? An apartment on the Mediterranean or Adriatic coast…or in a major city such as Rome, Florence, or Venice? Rolling fields and hillsides crowned with castles? The excitement of the city? Whatever your dream, Italy can make it come true. Although the best areas of Rome, Florence, and Milan are admittedly expensive, not all regions are as unaffordable as you might expect. 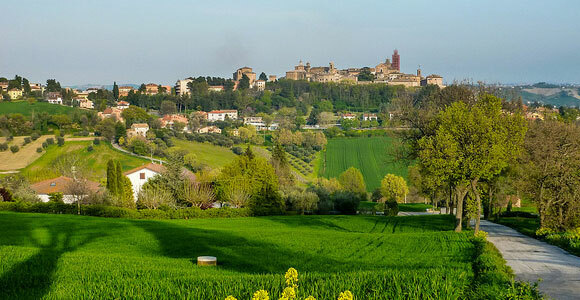 In rural areas and small towns, plenty of Italy real estate is available for less than $100,000. What Type of Real Estate in Italy Do You Want to Buy? Italy has more than farmhouses to offer. Say you’re looking for a simple village house in fairly good condition…but you don’t want to pay more than $150,000. You won’t find one on the shores of Lake Como at that price, but look to Apulia and you’ll be spoiled for choice. It’s usually necessary to venture beyond the fashionable destinations to find sensible prices. What kind of home are you looking for? Villas and villettas, farmhouses, towerhouses, village houses, medieval townhouses, chalets in the mountains, apartments in the city or at the seaside–it’s up to you. A palazzo if you wish, but if your heart is set on a medieval palace in Venice or Florence, you’ll need bottomless pockets. Apartment living is the norm in cities, and many ancient properties have been divided up into separate households. Once you have found your dream location, you will undoubtedly need the services of a real estate agent. Should you choose an Italian agent or an American or British agent? First, much depends on whether you can even find an American/English agent in your target area. Even today, some parts of Italy remain virgin territory to foreigners. Some buyers prefer to use Italian real estate agents, as their fees are usually a couple of percentage points lower. If they’re local, they may also have a greater understanding of zoning regulations and any potential problems. And if you go through a professional Italian real estate agent, you’re less likely to be overcharged. Not that all Italian agents are angels. In fact, some are out-and-out rogues. On the other hand, a professional foreign real estate agent who speaks your language is likely to have a better understanding of your needs. They will probably have already dealt with buyers who don’t intend to live in Italy year-round and who need to transfer money from abroad. As good communication between agent and buyer is of vital importance, choosing between the two alternatives will ultimately be decided by how fluent in English an agent is–and how fluent you are in Italian. Italian real estate agents are called immobiliari and over 15,000 of them belong to FIAIP (Federazione Italiana Agenti Immobiliari Professionali). Why Explore Italian Real Estate? Even if you’ve never been there, Italy is one of those places that tugs at the heartstrings. And once you have been there, you’re always looking for reasons to go back. And imagine being able to spend every springtime in Rome or Venice or Florence…can’t you just picture yourself meandering beside the Arno river on a perfect May evening when all the terracotta roofs and ancient palaces are bathed in that special Florentine glow? But you don’t have to spend all your time in Florence or any of the other great art cities to experience the magic. Italy’s landscapes are as gorgeous as they are diverse. Historic walled towns, timeless villages crowning dozens of little hilltops like tiaras, and fields covered with bright yellow sunflowers. Gnarled olive groves and lemon, orange, and almond trees…golden beaches and jewel-like Alpine lakes…romantic, mysterious islands…smoldering Mount Etna…the glittering peaks of the snow-covered Alps and the Dolomites. Dreaming of a 3,000-square-foot restored farmhouse with space enough for all your family and friends…or an unconverted farmhouse or villa that you can do up and then run as a B&B? 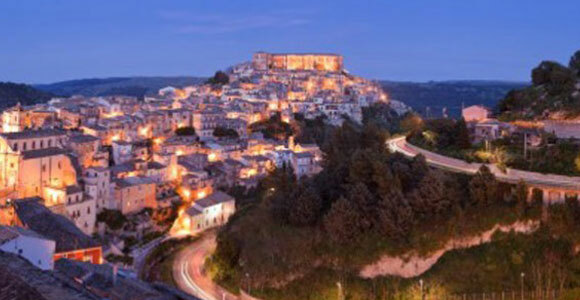 Or perhaps you picture yourself in a cozy village house just big enough for two…or a home overlooking the piazza (square) in a small historic hill town. A villa beside the looking-glass Northern Lakes? An apartment on the Mediterranean or Adriatic coast…or in a major city such as Rome, Florence, or Venice? Rolling fields and hillsides crowned with castles? The excitement of the city? Whatever your dream, Italy can make it come true. Like in other European countries, Italy has no multiple listings system. Each agent has his or her own little cache of properties, so a lot of legwork is involved. It is estimated that only 10% of Italian agents speak English…and this is what we found on our own travels throughout Italy. One important warning if you decide to investigate the market: There are some rogues out there—both Italian and expatriate—selling overpriced properties. Their main areas of operation are Tuscany and Umbria, and their target market seems to be poorly informed Americans. While prices in Italy are always negotiable, most buyers expect to negotiate downward…not upward. You’ve found the ideal property and decided to start initial negotiations. You make an offer, stating the price you are prepared to pay and the payment conditions. Before going any further, you should have a survey conducted. You will have to do this anyway if you’re applying for financing. The survey will be carried out by the geometra, who also undertakes local land registry searches and planning searches to ensure that the property conforms to local planning and building regulations. During this initial stage, you may be asked by the agency for a small reservation deposit (prenotazione) of around 3%, but this is not always the case. At this point you will also need to appoint a notary. The notary is a public official who handles the process of buying and selling, and is responsible for ensuring that all the deeds are authentic and of incontestable value. The notary normally acts as a witness for both parties, drawing up the preliminary sales contract and, if applicable, dealing with the final mortgage deeds. Note that a notary is not a lawyer acting on your behalf. Now it’s time to negotiate and draft a scrittura private (a private contract between you and the vendor), and sign and exchange the compromesso, or contract to buy. This is a legally binding document that commits the buyer to complete the purchase and to pay the balance of the agreed price on a specified future date. At the time of signing the compromesso, you will have to pay a deposit of between 10% and 30%. If you’re not dealing through an agency that holds your hand every step of the way, you will need the services of an Italian lawyer to draw up the initial contract, instruct the notary, and check over the final contract. Contracts can be complex documents…especially if you don’t read Italian. For example, if the deposit is paid under the terms caparra confirmatoria, this means that the buyer must complete the deal or he/she automatically loses his/her deposit, and the seller could take legal action to force the purchase. (Even if the seller doesn’t take such action, losing a 30% deposit on a million-dollar Tuscan farmhouse is going to be a painful experience.) However, if the vendor pulls out, he is also going to feel pain, as he is legally bound to pay back double the deposit. Should a deposit be termed as caparra penitenziale, either or both parties can withdraw from the transaction without financial penalty. Time to sign the rogito or final contract, which takes place in the presence of a public notary. He witnesses the transfer of title and collects all the taxes that are due on the transaction. Once the papers have been signed and the transaction is complete, the notary has 21 days to register the new title in your name. If you are buying the property with a mortgage, the notary will also register the mortgage deed. Also known as government purchase tax, the amount depends on whether you are buying urban or rural property and how you intend to use the property. If the urban property you purchase is to be your main place of residence (i.e., you will live in your property for more than six months and one day per year), government purchase tax (imposta) is 3% plus IVA (sales tax) if buying from a private individual, and 4% plus IVA if buying from a company/agency. If you purchase the property as a second or vacation home, purchase tax is 10% plus IVA. This figure is based on the “declared price” of the property. To qualify for reduced registration tax, you should become a resident before purchasing a home in Italy. If the agricultural property will be your permanent place of residence and your principle activity is agricultural, then purchase tax is levied at 11%. If the property will become your second home, the tax is 18%. Italy developed a unique variant of inheritance tax. Not content with taxing the estate of the deceased ( imposta sul morto or “dead man’s tax”), it also taxed each individual beneficiary on the legacy received ( imposta individuale or “beneficiary’s tax”). Until Oct. 25, 2001, that is. The new law has abolished the inheritance and gift tax ( imposta sulle donazioni e successioni). As a consequence, no inheritance or gift tax is payable on legacies or gifts paid to spouses, children, or other relatives up to the fourth degree. Furthermore, it is not payable on any legacy or gift of up to $168,000, paid to any unrelated person or body. Legacies or gifts above $168,000, paid to unrelated persons or bodies, attract other taxes. In the case of real estate assets, this is the property registration tax ( imposta di registro). Income earned from renting a property is taxed as ordinary personal income (IRPEF). After allowances have been taken into account, rates are on a sliding scale: 18.5% for amounts up to approximately $11,000; 25.5% for the next band up to $15,500; 33.5% for amounts between $15,500 and $31,000; 39.5% for amounts between $31,000 and $70,000; and 45.5% for amounts over $70,000. Unoccupied real estate is taxed based on an imputed income. Cadastral tax ( rendita catastrale) is a small tax, equivalent to the imputed income a property owner could receive from his property. Regardless of whether an Italian property owner receives rental income, cadastral tax of 0.4% to 0.7% of imputed income is still payable. However, if the property is of very low value, is not rented out, and is kept for the exclusive use of a foreign owner, the tax does not apply—as long as the owner does not earn any of his income in Italy. 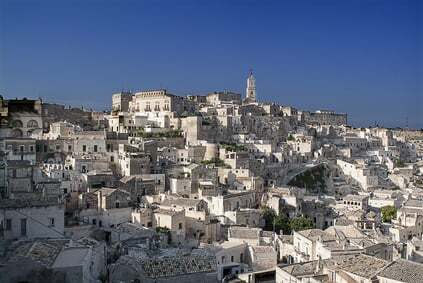 The main property tax in Italy is ICI, which is calculated on a property’s declared value. Set by local municipalities, the rate varies from 0.4% to 0.7%. In Milan, for example, it is 0.5%. ICI is payable in two installments, due in June and December. The seller must pay INVIM, a capital gains tax, which fluctuates in accordance with the length of time the property is held. The amount varies from 5% to 30%. There is a reduction for first-time buyers. Since Jan. 1, 1993, this tax has been replaced with an annual tax on property, called ICI ( imposta comunale sugli immobili), but must still be paid for property held up to that date. ICI amounts to between 0.4% and 0.6% on the cadastral value, and varies from town to town. Transaction costs can run quite high on the purchase of Italian real estate. The real estate agent’s commission is split between buyer and seller. The buyer usually pays 2% to 3% of the price of the property. In some cases it can be as high as 6%. Legal fees typically amount to 2% of the purchase price. Notary’s fees are approximately 2.5% to 4% of the declared value. The fees are calculated in accordance with the value of property (i.e., 2.5% will apply on cheaper properties). The geometra’s fee will depend on what work is involved. If you’re not planning to do any further work on your property, you’ll pay around $600. If you intend to build on or modernize, then expect to pay up to $2,400. One thing to note about transaction costs and taxes is that they are often based on the declared value of a property. Despite what you’ve actually paid for it, under Italian law, a property also has an official value—the “declared value,” which is usually considerably less than the purchase price. This is the value that appears on documents and in the land registry. It is this figure on which annual property taxes are calculated. Say the market value of a property is $300,000. The purchaser who buys at that price can register it at a value of $150,000 in order to lower his taxes. It is quite normal for property to change hands at a declared price of 50% of the amount actually paid. Despite the number of Italians that do this—and get away with it—we strongly advise that you ensure the “declared value” matches the price you paid for your property.